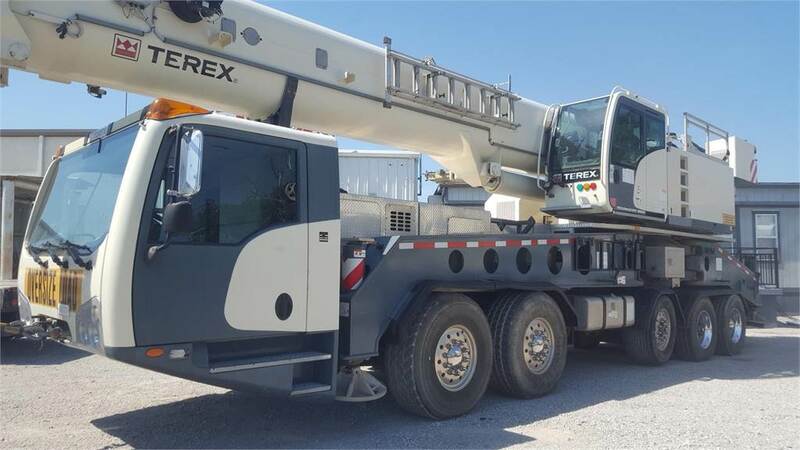 Additional Information Description: 2012 Terex Roadmaster built March 2012. Jib: 32.8 to 62.3 feet (19 meters) with 20 & 40 degree offset. Boom Dolly Float Kit (Rare option). ENGINES: Detroit Diesel 450 HP in Carrier and Mercedes Diesel in Crane. Axle Number 3 is a liftable ‘pusher axle’, giving this truck crane the ability to comply with most state regulations across the USA. X-pattern outrigger design provides superior chart performance. IC-1 rated capacity indicator system. Air Conditioning and Heater in both cabins. 12 ton overhaul ball with hook latch weight of 709 LBS. 75 ton 4 sheave hook block with hook latch weight of 1502 LBS. Hour Meter Truck: 945 Hours. Hour Meter Crane: 2,891 Hours.